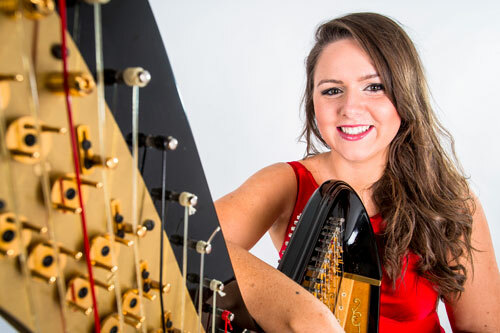 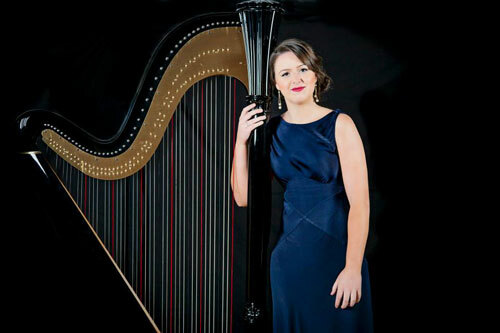 This harpist is a former first class honours scholar from the Royal College of Music, London and whilst studying in London she gained her BMus (hons) DipABRSM and LRSM performance certificates. 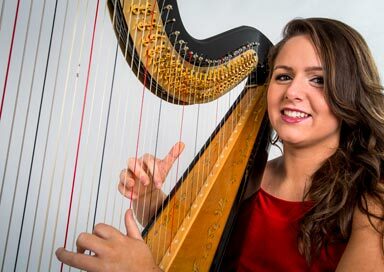 She has played for Her Majesty the Queen on several occasions, HRH Prince Charles and the Duke and Duchess of Cambridge as well as for celebrities such as Stella McCartney and Adele. 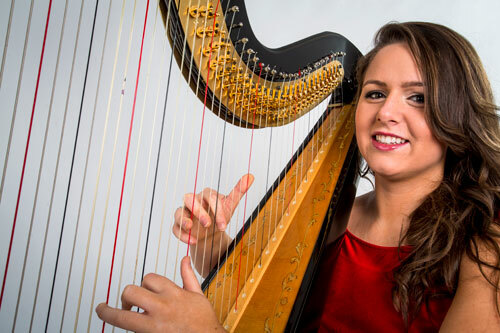 She has recently performed in countries such as China and Brazil whilst being the Queen Elizabeth resident Harpist for Cunard.